A convenient, comforting and hearty winter meal! It’s Natalie from Costcuisine again! I definitely enjoy trying and reviewing all the pre-made deli items from Costco. 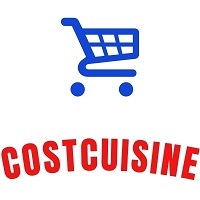 If you want to read reviews on pre-made deli Costco food products follow me on Instagram or Facebook and also check out my blog Costcuisine where I review tons of Costco food products each week! This pre-made dinner from Costco made my Friday night way more relaxing and was also pretty tasty, so I want to share my thoughts on it for those who haven’t tried it yet. I hadn’t seen this meal at Costco before purchasing it in late November, so I think it may be a new item. Let’s get one thing out of the way; the Costco Kirkland Signature Beef Meatloaf with Cheddar Mashed Potatoes doesn’t look like the most appetizing entrée in the pre-made section. Still, I was happy when I brought it over to my husband and he agreed to try it out, because I knew at the very least it would be an easy dinner and would translate into more time for me to lie on the couch and watch Netflix! Fortunately it turns out that the Costco Kirkland Signature Beef Meatloaf with Cheddar Mashed Potatoes isn’t just easy to serve; it’s actually quite appetizing and also very filling. In the container you get a meatloaf, a huge helping of mashed potatoes with slabs of butter on top and large packet of sauce. The meatloaf is seasoned well, moist and quite firm. It tastes like it’s made from lean ground beef and isn’t super greasy or oily. The meat seemed to be good quality; we both didn’t find any gross bits. The mashed potatoes were really flavorful, rich, creamy, soft and fluffy. You can tell that they’re loaded with all the good stuff (i.e., butter and cheese). Personally, we didn’t find the cheddar label to be appropriate; we couldn’t taste cheddar cheese in the potatoes. The flavor, consistency and texture of the potatoes reminds me more of mashed potatoes made with cream cheese. The sauce that comes in the container tastes like a sweet barbecue sauce and goes really well with the meatloaf. We actually wonder if the sauce uses the Bulls-Eye Barbecue Sauce that Costco sells as an ingredient as it had a very similar flavor. You get a lot of sauce, which is nice, but the meatloaf is already flavorful and moist, so we probably only used half of the packet as we didn’t want to overpower the flavor of the meat. For what it’s worth, my husband ate the meatloaf and enjoyed it; he even declared that he’d buy it again and said that that was saying something because he’d always hated meatloaf as a kid and hadn’t eaten it since the last time his parents forced him to! I find he price of this meal to be more than reasonable considering the size and convenience. It cost $11.85 Canadian, and I think it would feed a family of four, especially if served with a side of veggies or a salad. It’s a pretty big meatloaf, so you’re getting a lot of protein for the price. All I had to do to get it ready was put it in the oven and heat it up, so my goal of more Netflix time was definitely achieved! The meatloaf is precooked, so you don’t have to worry about grease soaking into your mashed potatoes or making sure you fully cook the meat. In terms of nutritional information, 1/6 of the tray is 520 calories, 35 grams of fat, 20 grams of protein and 980mg of sodium. I don’t think this is the healthiest meal choice, but it’s probably not the very worst either. On the plus side, you’re getting a ton of seemingly lean, high-quality protein. On the negative side, a couple of things stood out. First, the meal came with two slabs of butter on the mashed potatoes. I removed one because I felt we didn’t need that much butter and I was happy that I did, as the potatoes still tasted great (certainly way too good to be low calorie). Second, when I look at the ingredients, I am disappointed to see something called textured soy protein on the list of ingredients for the meatloaf. Some quick Google research leads me to believe that the reason for including this is to save on costs. There are also a few other unsavory, chemical-sounding ingredients listed on the package. In Costco’s defense though, the best-before date was four days after we had purchased it; I don’t think homemade meatloaf would keep for that long. You can pick this version up at the beginning of the week and use it on a busy night during the week. While the Costco Kirkland Signature Beef Meatloaf with Cheddar Mashed Potatoes delivers on taste, value and convenience, a quick look at the ingredients ruins the illusion of it being just like homemade meatloaf and mashed potatoes. Still, this probably isn’t a meal anyone would buy based purely on nutritional information, so don’t let that scare you away. I bet if your family/guests don’t see the package, you can convince them that you made it from scratch! Thank you for the balanced review. Have you seen the stuffed cabbage rolls! I’m keen on trying them. They’d go well with the mashed potatoes from the meatloaf. 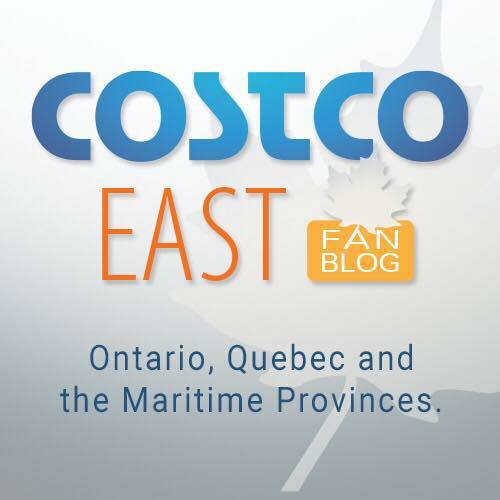 Glad to see a review of Costco products here… Hope to see more. Would be a quick meal, think I’ll try it for my Hubby next Costco visit. Wondering, where do you find nutritional value for pre-made item? never tried this one but we love the lasagna they have and they don’t seem to have calories per gram 🙁 Thanks!